In our last post, we studied the invention of ballistite by Alfred Nobel in France. In today's post, we will study how Britain managed to obtain a similar smokeless powder: cordite. As we saw previously, the French had managed to invent a smokeless powder for military use in 1884, which they called Poudre B and had developed a new rifle, the Lebel M1886 rifle in 1886, after which other governments became aware that the French had a new secret propellant that was superior to black powder. Shortly after this, Alfred Nobel invented ballistite in 1887 and tried to sell it to the French military. However, since they had already settled on using Poudre B and partly because of Poudre B's inventor, Paul Vieille, having connections with the French military, the French turned Alfred Nobel's offer down, even though ballistite was superior to Poudre B. Therefore, Nobel tried to sell his invention to other countries and managed to make a sale to the Italians. While the French weren't about to reveal the secrets of Poudre B to others, Nobel was selling ballistite to anyone who could pay him. In 1888, the British government formed a special commission to gather information about Vieille's and Nobel's discoveries. The British feared that if a smokeless powder was actually invented, they needed to get access to the technology as soon as possible, in order to remain a world power. The British commission's mandate was "to investigate new discoveries, especially such as affected the use of military explosives, and to submit to the War Office, proposals for the introduction of any technical improvements in the field." 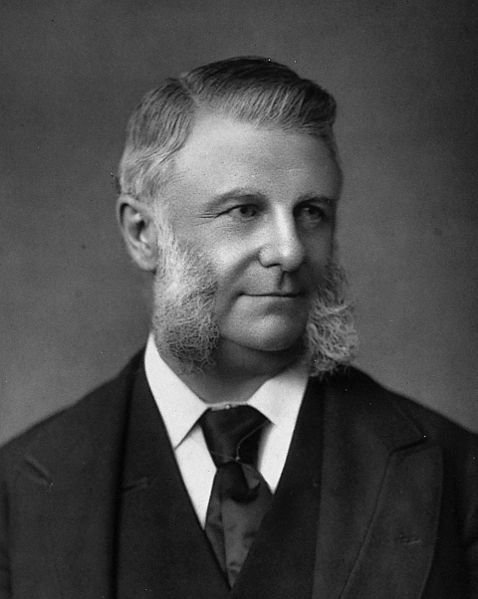 One of the two scientists that the British put in the commission was Sir Frederick Abel, who we studied about in previous posts. Abel was instrumental in improving the Von Lenk process of manufacturing gun cotton and making it safer. 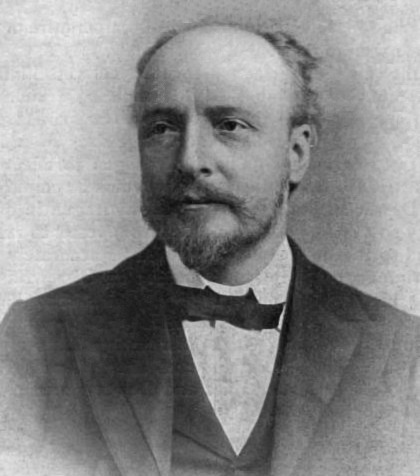 The other scientist was Sir James Dewar, who was also a well known chemist and physicist of that era. Click on the image to enlarge. Public domain image. Nobel was pretty well acquainted with both men. Abel was actually a sort of rival to Alfred Nobel about 20 years previously, when Nobel had tried to set up a factory to manufacture dynamite in Britain and Abel had managed to convince British authorities that gun cotton produced by his process was safer to make and thereby prevented dynamite from being sold or manufactured in Britain for a long time. However, as time passed, the two rivals had become somewhat friendly to each other, even exchanging letters and occasionally meeting each other in Paris or London to discuss technical matters. James Dewar was a close friend of Abel and he too had corresponded with Nobel before on technical matters in chemistry. As part of the commission's study, they requested some detailed information about production and samples of ballistite, which Nobel readily supplied to them. They also carefully studied Nobel's patent claim for ballistite in France. This is where Nobel's patent claim came back to haunt him. His patent for ballistite stated that "ballistite was a combination of equal parts of nitroglycerin and nitrocellulose "of the well known soluble kind", with about 10% camphor. " The wording here is very precise and your humble editor has taken the liberty of highlighting a few bits, because they are important to the next few paragraphs. So in 1890, Nobel's Explosives Company in Scotland obtained a British patent for ballistite and tried to market it to the British War Office, only to be informed that they had already acquired a patent for a smokeless powder invented by Abel and Dewar, called "the committee's modification of ballistite", or cordite. While looking at Nobel's patent notes on ballistite, the two chemists noted that they could make a few small changes to the original formula and get similar results with the modified formula. Therefore, they quickly took out a patent in secret for their new substance and told the British military about it first, before informing Nobel about it. Cordite had a few minor modifications to the original ballistite formula. It used vaseline instead of camphor, which was a better stabilizer anyway. Secondly, it used a larger proportion of nitroglycerin in its formula. Thirdly, the formula for ballistite had specified nitrocellulose "of the well known soluble kind" (i.e. a collodion paste that was soluble in water). The formula for cordite used the insoluble form of nitrocellulose (i.e.) gun cotton instead. Of course Nobel was extremely angry about this and launched a patent infringement lawsuit immediately. The case dragged on to the Chancery Division Court in 1892, which ruled against him. Nobel appealed again and the case got pushed up into higher courts until it reached the House of Lords in 1895, which also ruled against Nobel, due to technicalities in his original patent application, and he was ordered to pay court costs. The problem was that his patent clearly specified that it used "the well known soluble kind of nitrocellulose", whereas cordite used the insoluble kind. The Lord Justice Kay was actually quite sympathetic to Nobel in his remarks: "It is quite obvious that a dwarf who has been allowed to climb up on the back of a giant can see farther than the giant himself ... In this case, I cannot but sympathize with the holder of the original patent. Mr. Nobel made a great invention, which in theory was something extraordinary, a really great innovation -- and then two clever chemists got hold of his specifications for the patent, read them carefully, and after that, with the aid of their own thorough knowledge of chemistry, discovered that they could use practically the same substances with a difference as to one of them, and produce the same results one by one". Therefore, what Abel and Dewar had done was probably morally wrong, they were technically and legally in the right, as cordite was sufficiently different from ballistite to have its own separate patent. Nobel was naturally not very happy with the court decision, but he did manage to sell ballistite to quite a few other countries. After a few years, ballistite was being used by the militaries of Italy, Germany, Austria-Hungary empire, Sweden and Norway. Poudre B was being used by France, Russia and USA. Cordite became the predominant propellant used by the British empire, many countries in South America and Japan. Nobel's Explosive Company eventually manufactured both ballistite and cordite (even though his lawsuit caused the British government to not award any contracts to his company for over a decade afterwards). The company paid Nobel a half portion of the royalties from every batch of cordite produced, so he did make some money in the end. In the next couple of posts, we will study the process of making cordite in some detail.